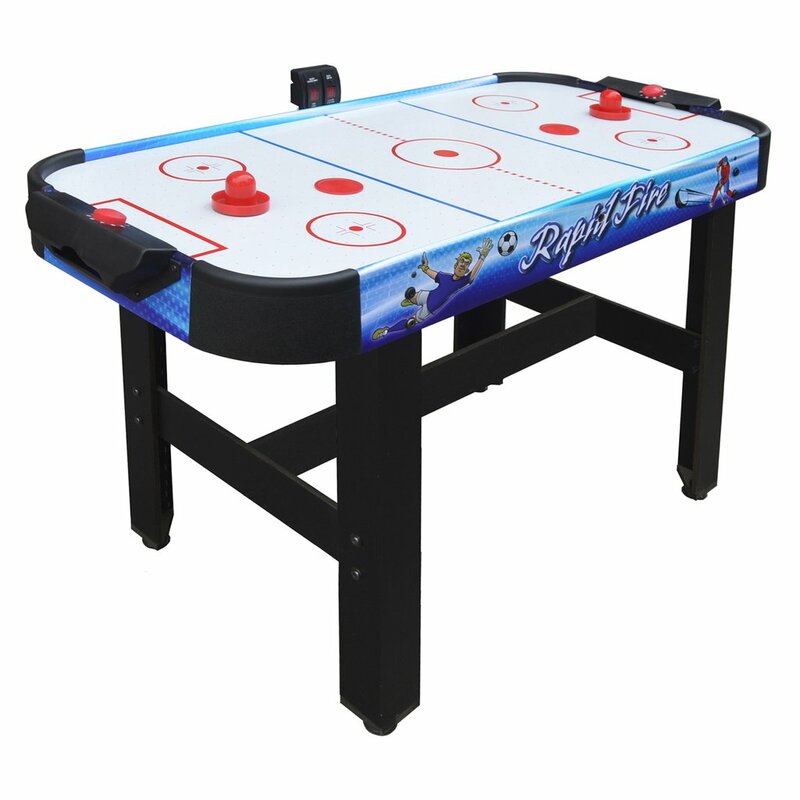 Take game time to the next level with the Rapid Fire 42-in 3-in-1 Air Hockey Multi-Game Table. This great table features three awesome games in one. 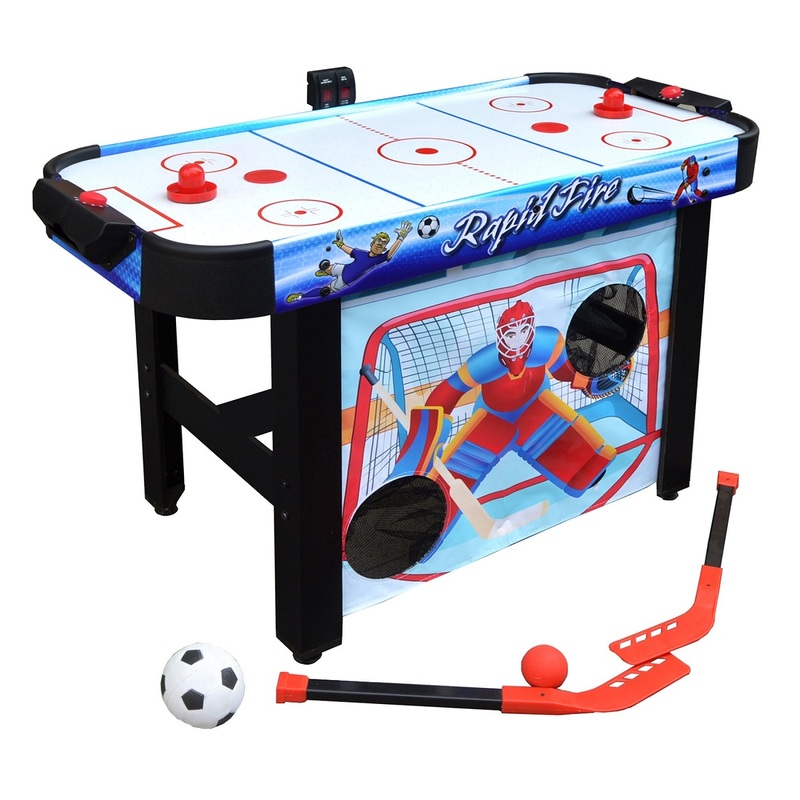 The Rapid Fire is sure to provide your kids with hours of entertainment. 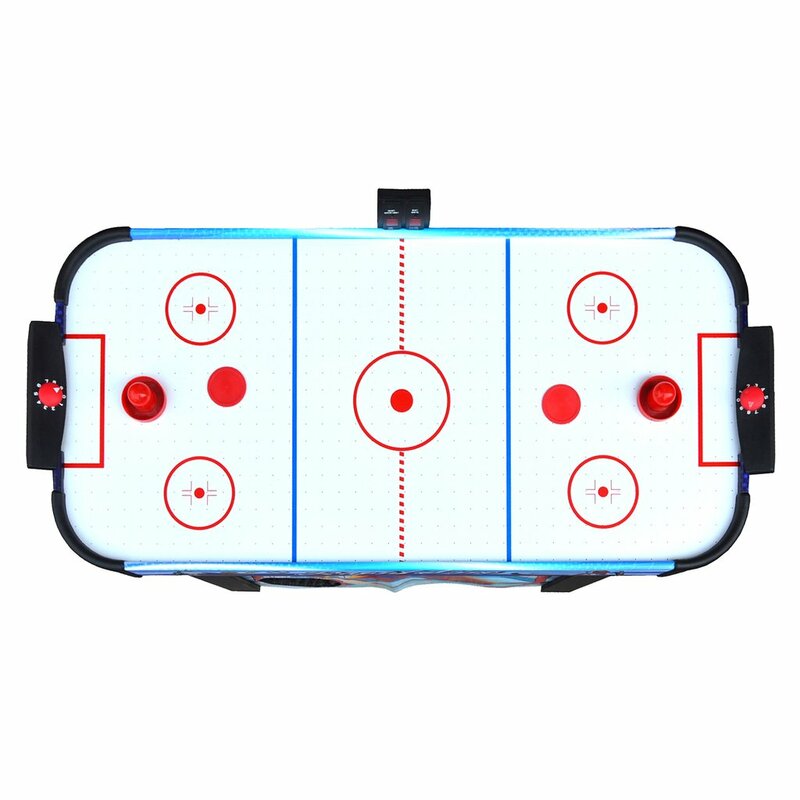 They can play a fast-paced game of competitive air hockey, kick a game-winning soccer goal, or drive the ball into the net with a buzzer-beating slap shot. 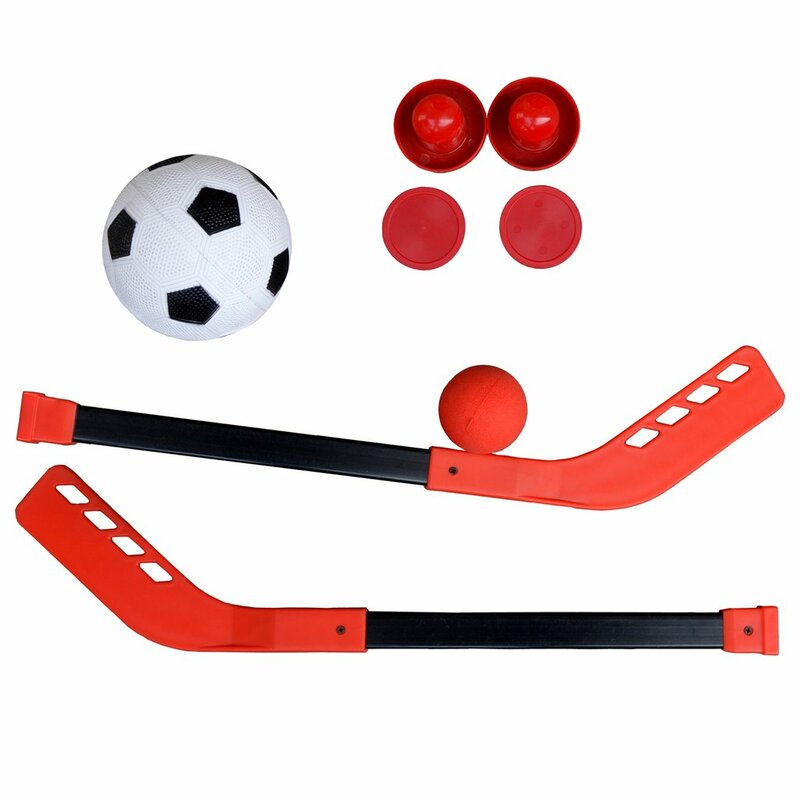 Each game promotes the development of hand-eye coordination skills, while the kids are having more fun than they can imagine. This gaming system is very compact, making it an easy fit for any room in your house. 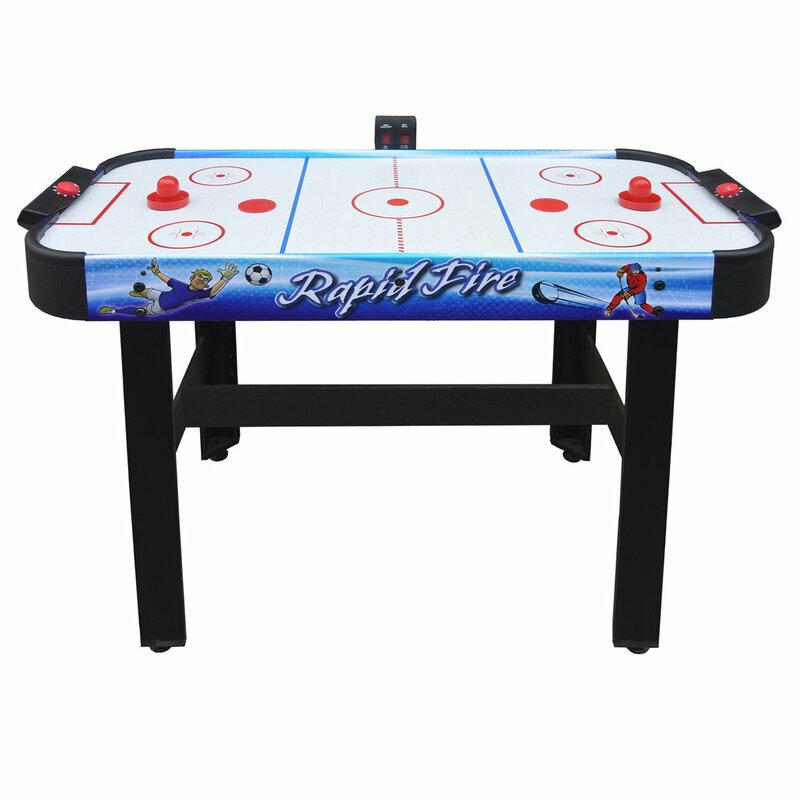 Quality features abound in the Rapid Fire game that you've come to expect in the Hathaway line of game tables. 180-day limited warranty.